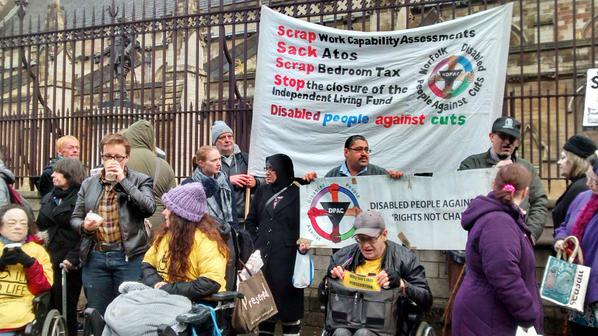 Note: Channel 4 News conclude this video clip by saying “this is the last chance for the SaveILF Campaigners. 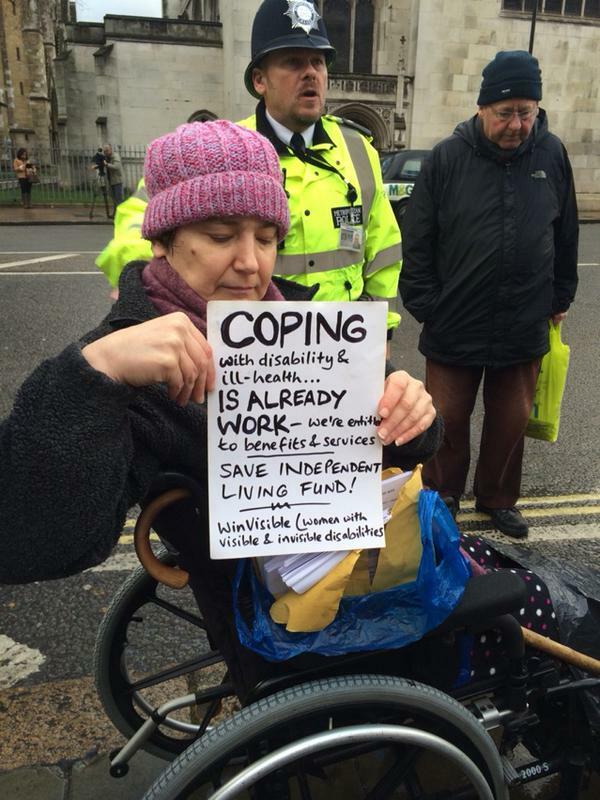 They got that bit wrong, there is more we can do and we will do to Save the Independent Living Fund. 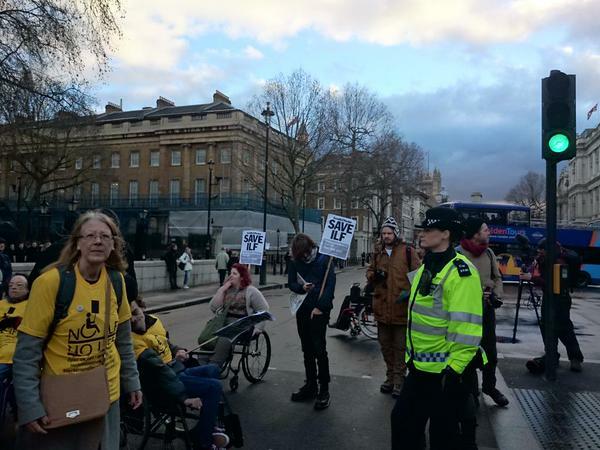 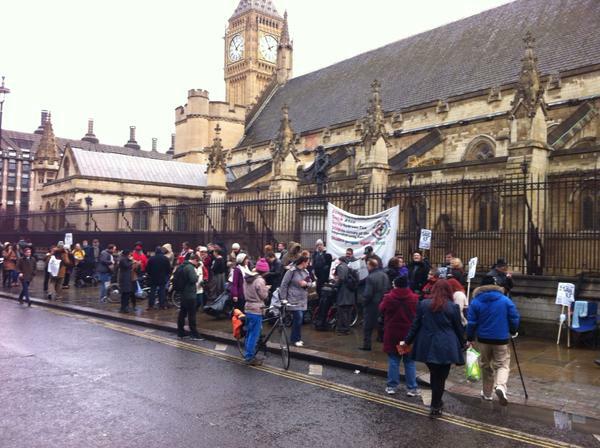 @FuelPovAction – Outside Parliament with @Dis_PPL_Protest to #SaveILF join in with online Tweeting to show your support! 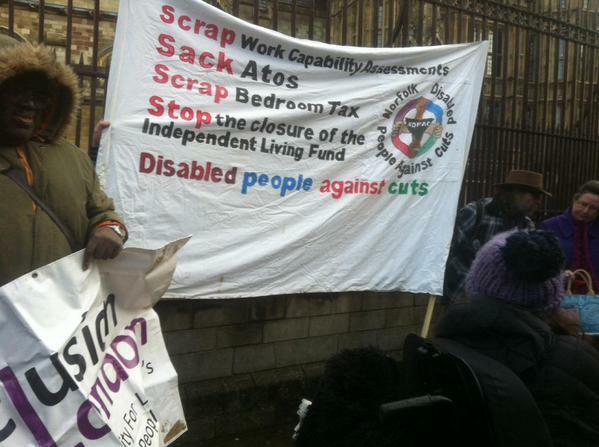 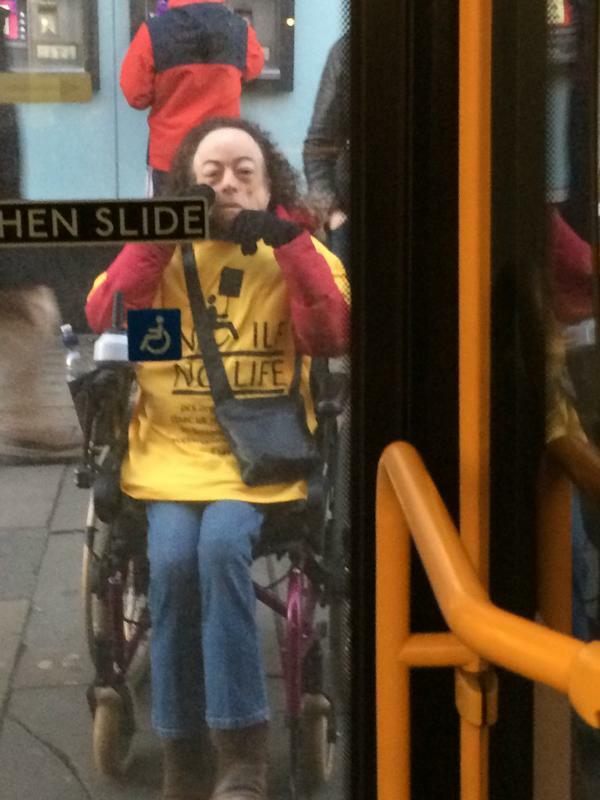 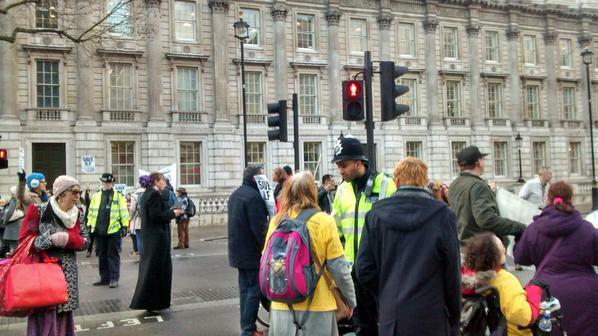 @UniteCommExeter #wheresEd Outside Downing street now @Dis_PPL_Protest to #SaveILF Not! 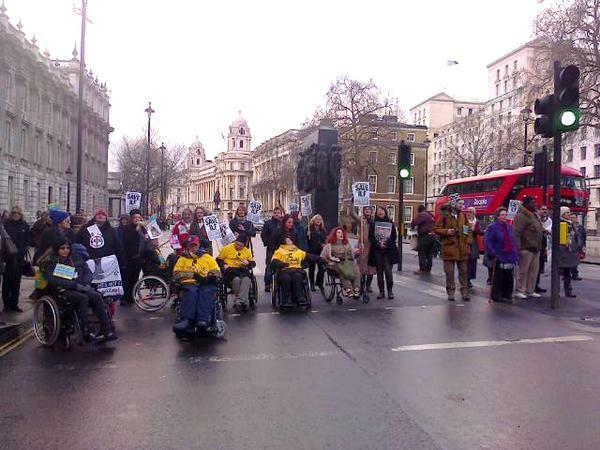 @Transportforall Roadblock! 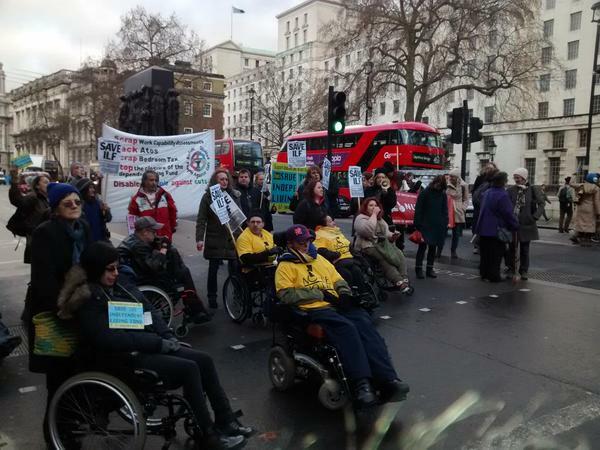 We are protesting with @Dis_PPL_Protest in front of the parliament to #SaveILF! 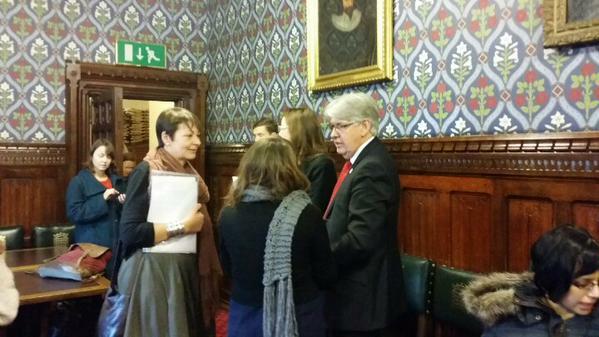 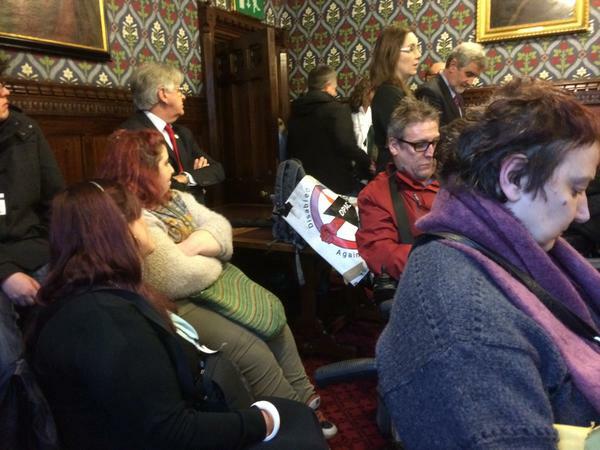 @johnmcdonnellMP Meeting DPAC campaigners lobbying MPs to bring back the ILF. 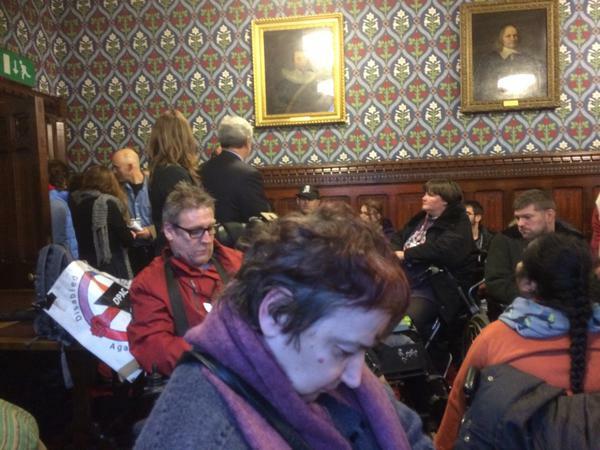 @JohnMcDonnellMP Fantastic atmosphere at @Dis_PPL_Protest lobby of MPs to bring back the ILF. 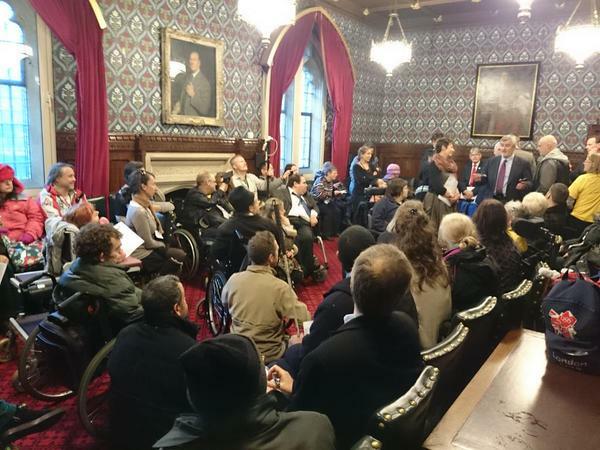 @JeremyCorbyMP At excellent Independent Living Fund lobby. 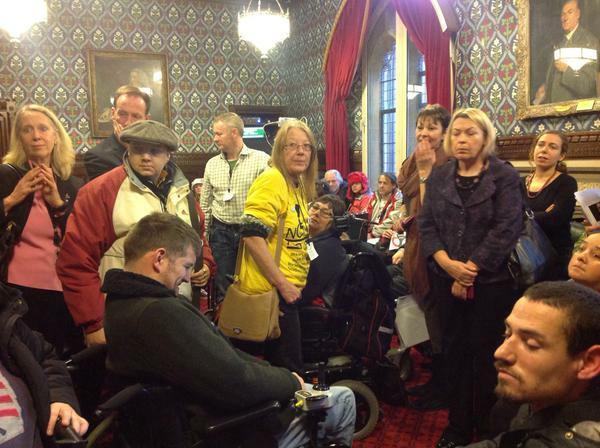 It must be brought back to give real respect and dignity! 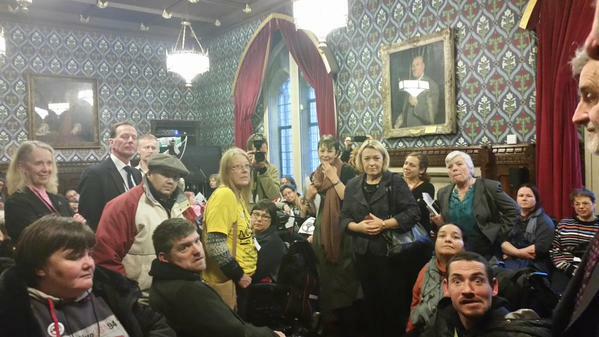 @Debbie_abrahams Packed room to listen to disabled & their carers protest about #independentlivingfund closure. 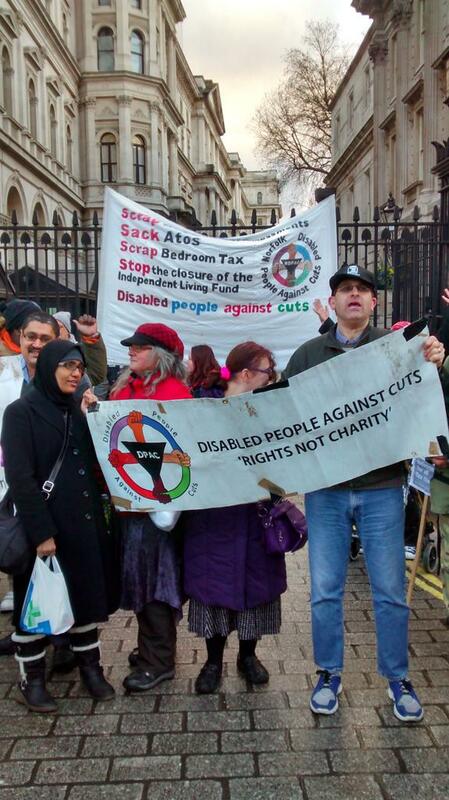 @rockinpaddy Screenshot showing #SaveILF trending. 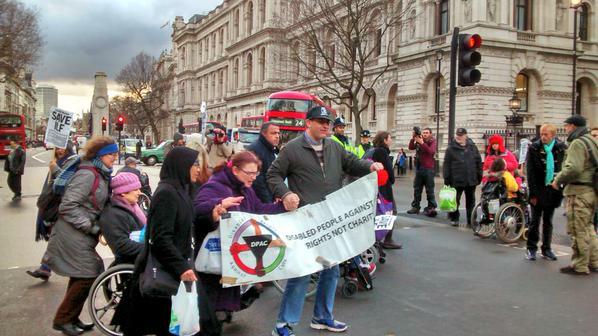 We want to thank them for the support they have shown us today. 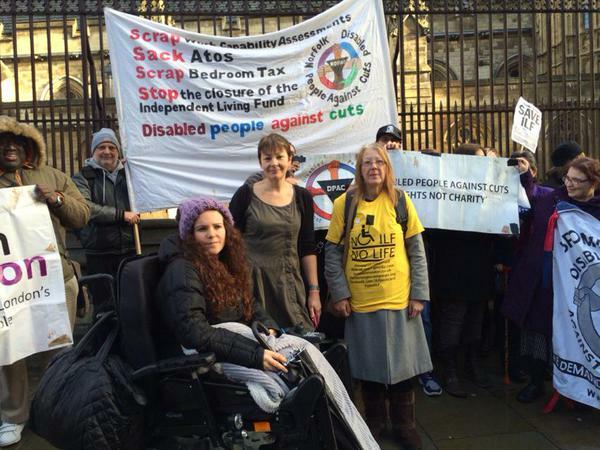 If you live in the constituency of any these MPs – you know who we recommend you vote for…. 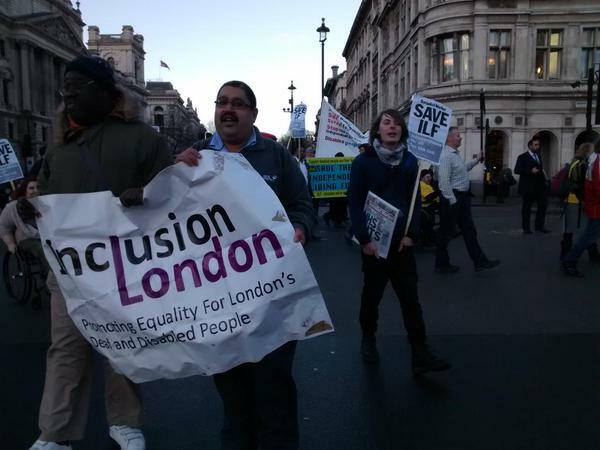 Hi well done for organising yesterday. 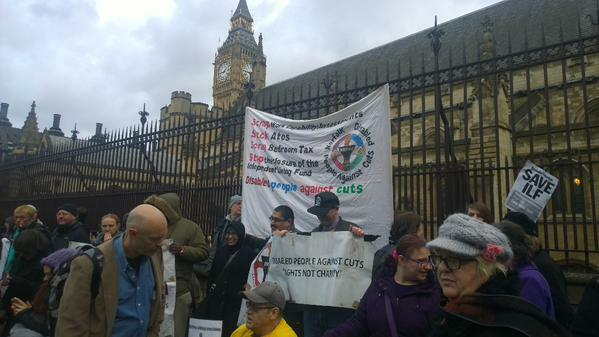 I just want to make clear the picture above attributed to @thego4m was not taken by us. 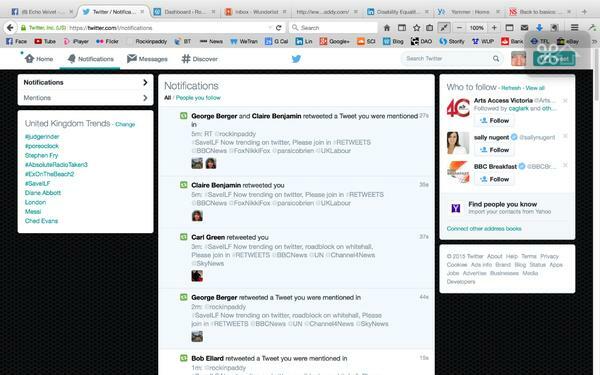 It was copied from another tweet. 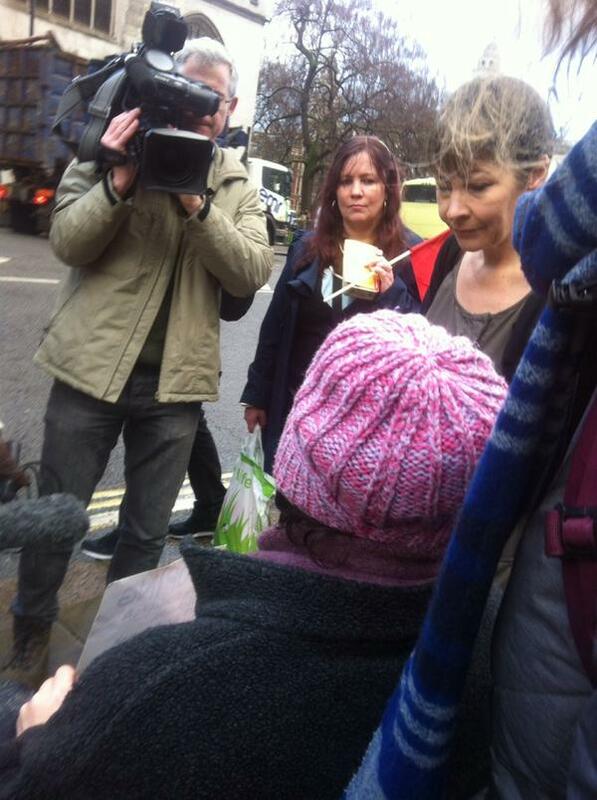 Sorry I can’t remember who from & it could have been an RT or a quote, but don’t want to be claiming credit for a picture that we just shared. 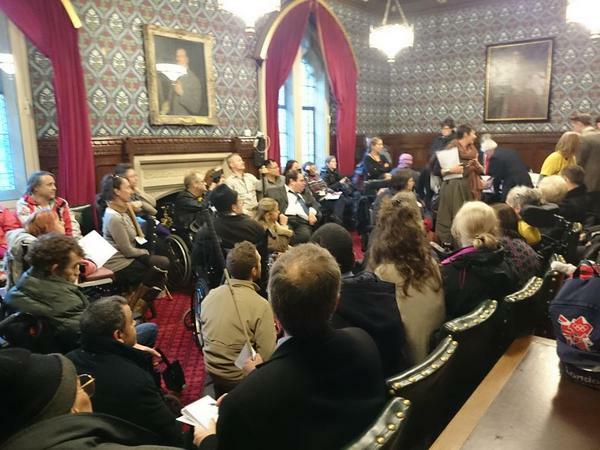 Sorry for not acknowledging original source correctly but things were happening very fast & just wanted to share / draw attention with local MPs etc.